This convenient dual-sided brush includes a dense angled brush on one end to precisely fill in and contour brows while the wand side combs and shapes hair into place. Perfect to use with powder, cream.. This Taklon brush can be used with wet or dry products. 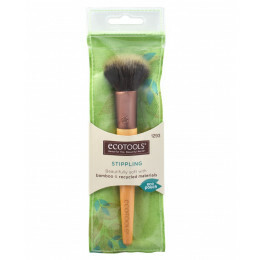 Compact and retractable brush is perfect for precision application and mess-free storage. Use to apply lip color, fill in fine lines, or line th.. This new anti bacterial, synthetic haired Taklon brush is softer and more absorbent and can be used with wet or dry products. 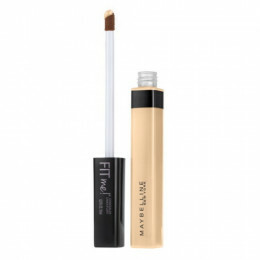 Be a professional makeup artist and create a flawless look with this e.l.f.. Sweep the flat top across pressed or loose powder makeup and gently buff onto skin using circular motions for a flawless finish. 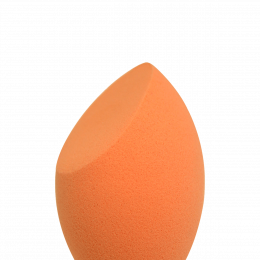 Continue this motion from your hairline to the apples of your cheeks fo..
Flawlessly apply foundation, powder, blush or bronzer with the Stippling Brush. 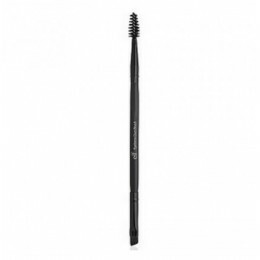 The duo-fiber bristles evenly disperse product for buildable coverage. Whether you are looking for a sheer wash of color..
Bye-Bye Pores! One second away from smooth, poreless skin. Why You'll Love It Insta-blur technology visibly smoothes pores away. Can be worn alone or under makeup. Non-comedog.. 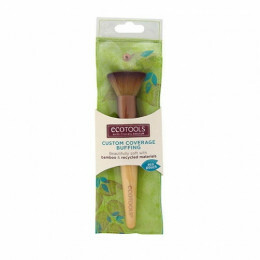 Skin looks perfected with this natural coverage concealer for zero flaws and blemishes. Net Wt. 0.23 fl. oz. .. 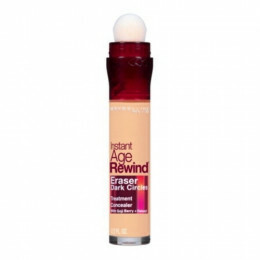 Active Formula and Micro-Corrector Applicator erase dark circles, puffiness and fine lines instantly. 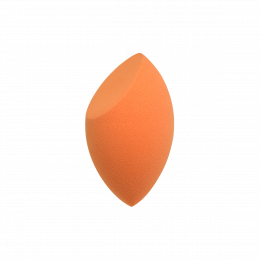 Why You'll Love It >Micro-Corrector Applicator micro-fills and smoo..
Optimize your beauty routine with this 3-in-1 multi-functional sponge. Rounded sides blend large areas of the face with a repeated dabbing or “stippling” motion. 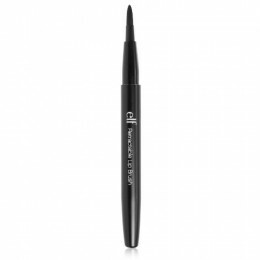 Precision tip covers blemishes..